In this modernized era where people have become more reliant on technology for even the most common everyday activity (like communicating), a lot of corporate personalities are already questioning the importance of business trips. You may also see status report examples. With the gadgets that make video conferencing and chatting possible, traveling miles to talk to a person who you can contact just as easily in the comforts of your office is now considered a waste of time, money, and energy. Needless to say, face-to-face meetings are fundamental in closing a deal or agreeing to a partnership with another company. It shows your professionalism and willingness toward the project since you have taken the time to see them in person. After all, how can you trust someone if you haven’t personally met them? You may also see academic report examples. According to research, the chances of turning prospects to actual customers and investors are doubled when a face-to-face meeting is conducted. In fact, some of the biggest companies in America won’t agree to sign a simple agreement with anyone they haven’t met in person yet. This emphasizes the importance of traveling, even halfway across the world, if it means that you can ace the deal your company is working so hard to close. One good thing about being physically out in the real world is that you can meet new people. Yes, there are also individuals in your computer screen, but how interested are they in talking business especially with you, a complete stranger? The great thing about physical contact is that it gives you the chance to network. 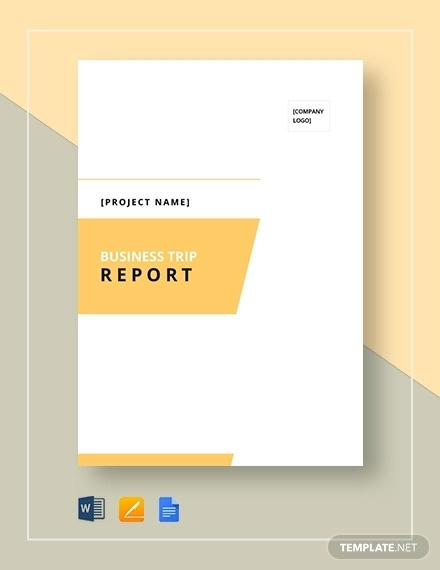 You may also like project report examples. Simply sitting on a plane or in a restaurant can already give you access to so many different individuals with whom you can initiate a conversation. This person is a much bigger opportunity to become a contact than all your virtual friends combined. Many possibilities can spring from this one contact, and you would never have come across it without an in-person meeting. You may also check out research report examples. An important part of being a leader, especially in the corporate world, is being present. This means that you need to show your team that you feel invested in their success enough to be physically present for them. Your mere presence can inspire confidence and motivation within your company, and this may just be what you need to boost your team’s productivity. You might be interested in technical report examples. The last and biggest reason why business traveling must never go out of style is because it is an important ingredient in maintaining personal interactions. Through face-to-face meetings, you can reduce the risks of miscommunication and increase understanding and empathy. Through personal meetings, you and your work colleagues can seem more like a team of like-minded people who are driven toward the same goal, instead of being separate individuals in competition. Face-to-face meetings encourage each one to be on the same page with the other. This can build the thought that you are all working toward mutual success, which you are. You may also see consulting report examples. Technology, as quicker and more convenient as it is, must never be a replacement for physical human interaction, especially in business where people need to constantly feel your presence and attachment to the undertaking. With that said, traveling for business purposes must never be a thing of the past. 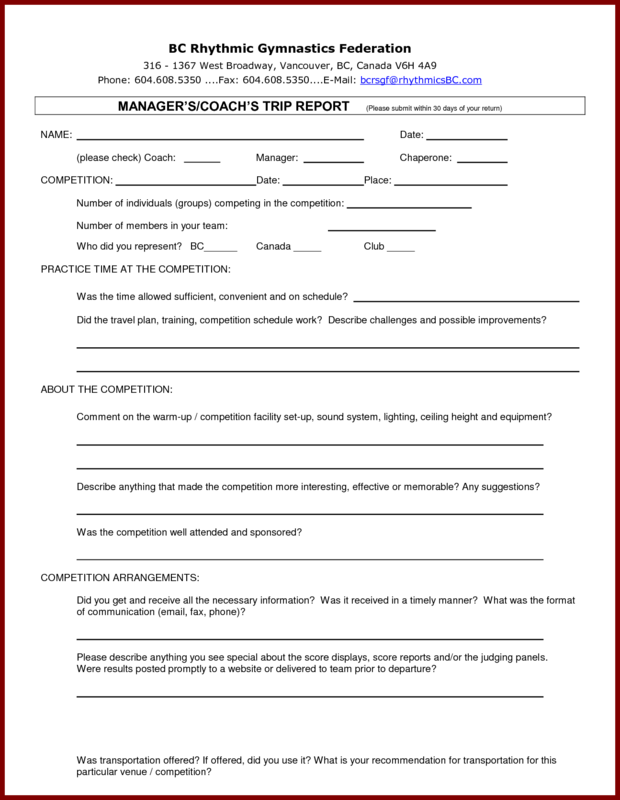 You may also like management report examples. 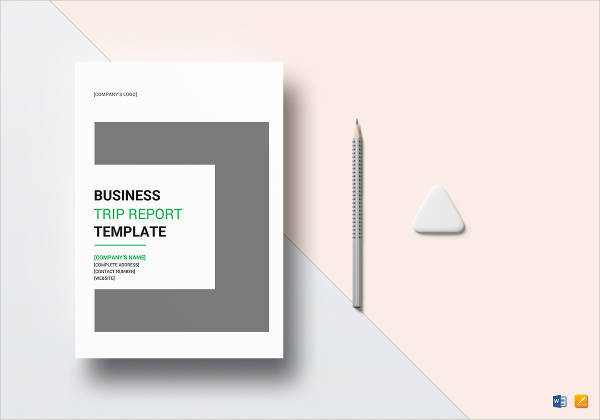 A business trip report is one of the easiest way that a company can keep track of its business travel details, expenses, responsibilities, and rewards. For big companies with a lot of employees to track, this is a routine tool used for organizing all of the travels they’ve sent their representatives to. But it’s equally necessary for smaller businesses who need to keep track of every penny they invest in business trips, and to make sure that their efforts are being remunerated. You may also see marketing report examples. Employees sent for business trips are tasked with creating their own report and, for some, this can be a pretty nasty job. However, business reports don’t have to be anyone’s enemy. In fact, its a reliable method of showing the employee’s hard work and contributions to the company, which is great for showing how much of an asset you are. 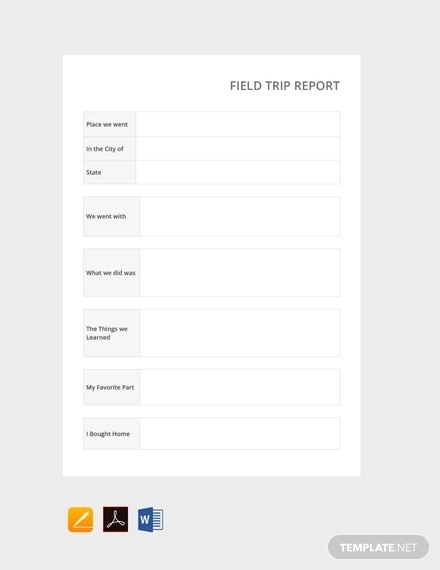 You may also like sample activity reports. A part of making the process of writing a report easier is by making it your habit. This would mean that during your whole travel, make it a part of your natural routine to carry with you a small notebook and a pen (preferably a separate notebook for each trip) to make the act of notation easier for you. This quirk can be a great help when you formally write your report later on. Jot down everything that happens that is relevant to your original intention for the trip. This can include the unique request of each company, your expenses, even those, especially those, that are unexpected. Even if you are using the company credit card, it’s best to have a documentation of your own to avoid anomalies from arising later on. 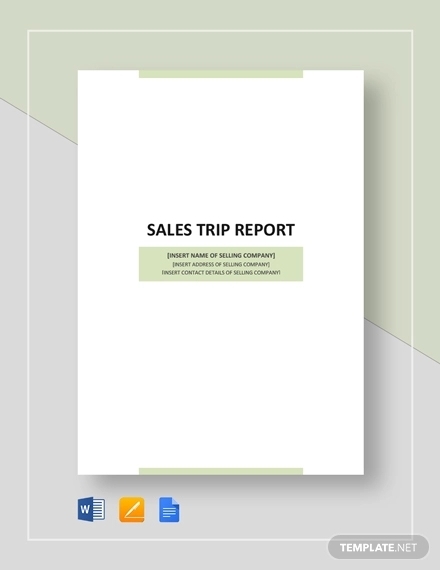 You may also check out sales report examples. You can also make notes on the amount of time you have spent working during the trip, such as the business lunches you attend, the time it took for the trip itself, and other business-related activities you may have engaged in. Should you receive anything from the clients you meet, gifts of some sort, make sure to record them as well. You might be interested in quality report examples. Once you have all of these details accurately chronicled, writing your report on the very same day you get home from the trip will be easier. Your boss may already have given you a deadline for the submission of the report, but doing it upon your arrival is always recommended since the details of your trip are still fresh in your mind. 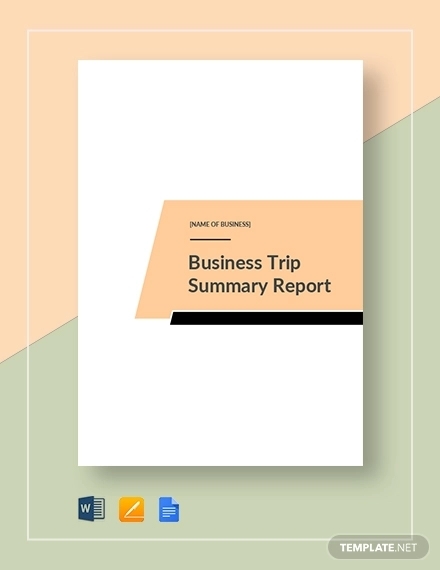 Business trip reports are created as a way of documenting the contacts made during the excursion, the lessons learned, and the overall observations and conclusions made from the trip. 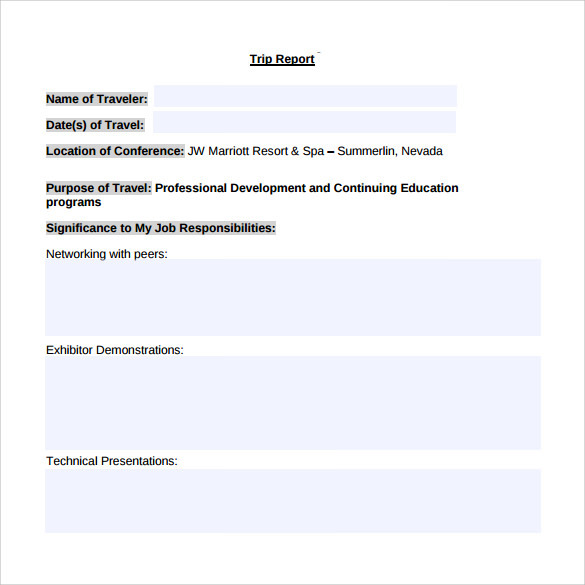 This general summary is often written in a format that can make it possible for the information to be shared with other people in the company. The great thing about these reports is that even if only one or two individuals have physically taken the trip, the other people who have been left can still be acquainted with the important details that concern them. Ideally, a report is one to three pages long. To make it more comprehensible, it must be divided into three or four subsections: the introduction, the main issues, the key contacts, and the observations or the conclusion. Unless you are planning to write a lengthy report, skip the cover page, the contents page, and the executive summary. Simply use the memo format for your body, and utilize a heading where you can list the date, the topic of the report, your name, and the name of the person to whom the report will be submitted. 1. Include the names of the colleagues who were with you during the trip. 2. Write down the names of the clients or investors you met and saw during the trip. 3. Specify your trip’s particular mission or point. For example, you went on the trip to land a big client or to attend a big conference. Make it clear on your basic report. 4. 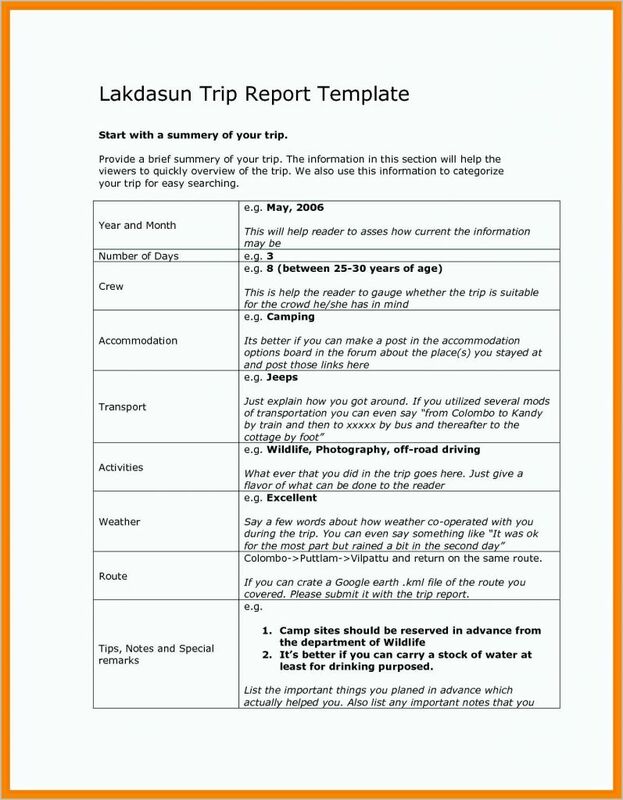 Include a summary that will provide an in-depth view of your experiences in the trip. Give a rundown of the things that you did for the company during the trip. 5. State the victories and successes you have achieved during your travel. Were you able to land that deal? Did you convince new customers to join your corporate family? Were you able to achieve the mission you were sent there for? You may also see how to write a short report. 6. Claim the failures and disappointments you had during the trip. Your team would also want to hear the bad side. In fact, they’re expecting it. However, in retelling your defeats, use the sandwich approach. Start with an optimistic news, follow it up with one that’s not exactly worth celebrating, and then top it off with another positive revelation. This can keep your team from being beaten by the bad news too much since they won’t have time to dwell on it because you just gave them to reasons to applaud for. You may also like service report examples. 7. 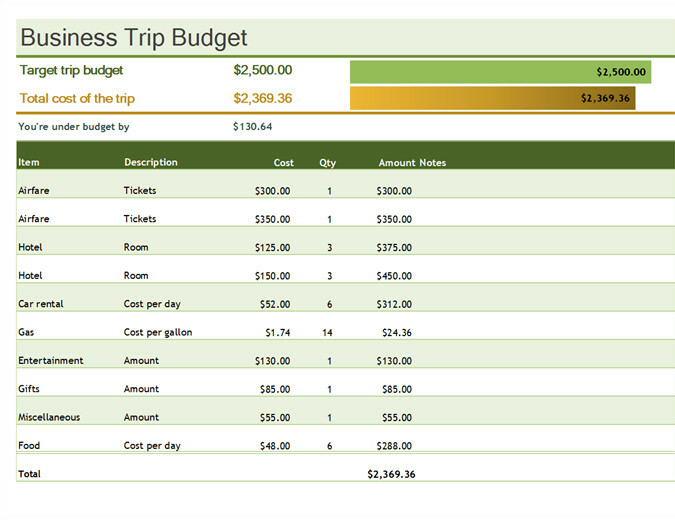 An itemized list of all of your expenses must also be included in the report. The financial aspect of your trip can easily be a source of problem for you if you don’t provide a sufficient documentation of it. 8. Create a bullet point list of all the reasons why your trip should be considered successful and necessary. This can show your audience why business travels must be continually sponsored and encouraged. Also, bullet points are an easier way of making standard reports more comprehensible for busy executives who only have a few minutes to spare on your report. To avoid that constantly present sense of aimlessness while writing, make sure you understand your intention for trying to write a full report. Refer to the five basic questions of investigative writing: who, what, where, when, and how. You may also see medical report examples. 2. Use concise, active, and engaging language. 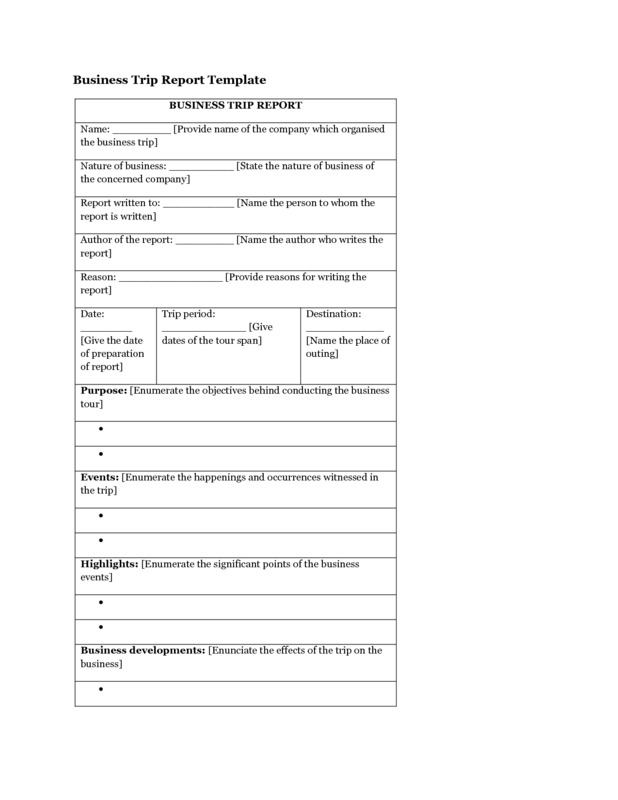 For business reports, getting right to the point is imperative. But never lose your professional tone either. Be clear, concise, and formal. Don’t stray from your report’s main point and don’t use unnecessary language or jargon. Use simple but engaging general statements by using active sentences. 3. Organize your ideas for clarity. You must be able to efficiently express your thoughts in a logical progression to make it more comprehensible, and the details easier to grasp. You can start by creating an outline for yourself, and then use this as a guide for the actual content. You may also like financial report examples. 4. Read, Edit, Proofread, Repeat. Once you have successfully written on paper the things that you would want to say, edit and proofread your own work. Chances are, a small part of your writing is composed of details unnecessary to the whole simple report. Cut out some parts, reread your content, and then do it all over again until you are satisfied with the finished product. 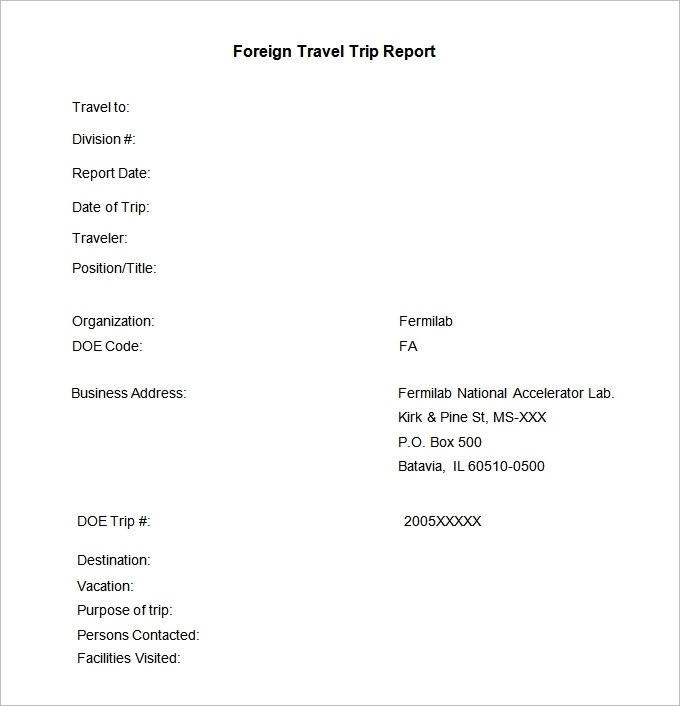 Aside from these details, make sure that you are aware should your company have other general policies regarding business trip reports. 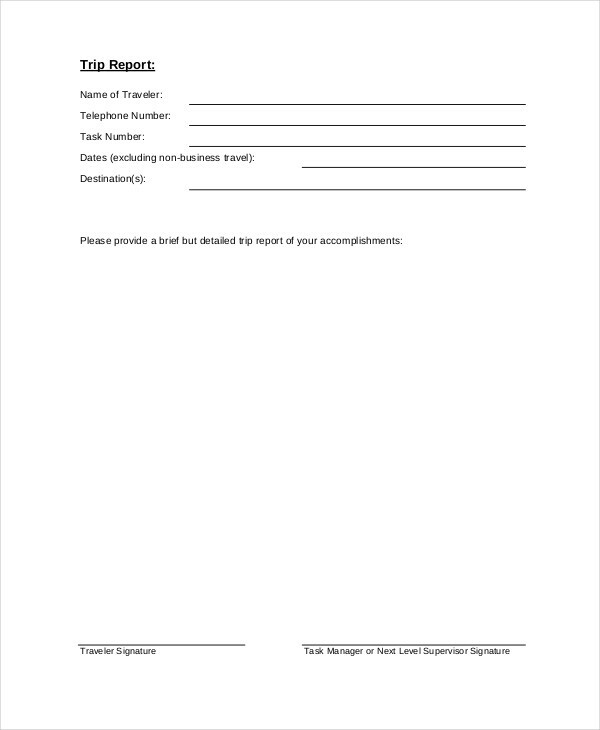 Its natural that each company has their own unique set of requirements and formats for important documents such as this. But if there aren’t any, follow the above guidelines and suggestions to create the most effective business report to end your travel with.